TURN IN YOUR BALLOT TODAY! So you see the Swift Boat Veterans for Truth were right. This apparently is what the Democrats mean when they say they “Support the Troops.” This loser is in Washington today with Maria Cantwell whose opponent Mike! McGavick has pulled into a dead heat with her. Gee, do you suppose any of the mainstream media will ask John Kerry in Seattle today about his comments? Me neither. No on 17% increase in Library Levy. Last time they said they’d extend hours with the levy. They cut hours and gave the libararian a 20+% increase. You’ve GOT to be kidding me. Confused about judges? Go to Crime Victim’s United website here. Governor Saxton always tells the stories from throughout the state where locals ask him when he gets elected if he’ll ever come back because Kulongoski never has. Now apparently Ted is going back with one week left in the election. Note: the date on the picture. DON’T LEAVE YOUR BALLOT TIL THE LAST MINUTE THIS YEAR! DON’T. TURN IT IN NOW. 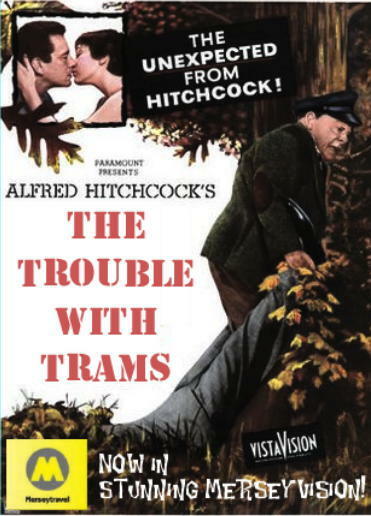 Help Name the Two Tram Cars *Plus a Special "Ask Victoria"
They’ve been claimed from customs and are on their way to floating like ‘bubbles’ over the freeway, highway, homes of those poor schmucks on Lair Hill. Yes, the two tram cars are here at a cost of a half a mil each. And the people in charge–either OHSU, City of Portland, Homer Williams, PDC—we have no idea–want you to help name them. So I’m taking your suggestions. I’ll go first. KOHLER–COASTER (this name already exists to pay disrepect to outgoing OHSU head Peter Kohler for this ill conceived idea, but we’re looking for names of both cars and I thought we could reprise this for purposes of this contest). Keep the ideas rolling in ! If the tram holds 78 people, are they going to replace the buses that seat 40 but can squeeze 60-80? Will it be a “frequent service” line, running every 15 minutes or less? Will it run when the buses can’t make it up and down the hill in the snow and ice? The Tram will result in fewer buses running to pill hill to ensure that at least someone will ride the tram besides the doctors, nurses, staff etc who work at OHSU. There will be plenty of buses around during frosty, windy days because the tram, in all liklihood, will not be able to operate. The Commercial That Makes the Democrats CRAZY! Because of problems with You Tube this commercial is not coming in.